You are here: Home / Product Reviews / Babies & Kids / 6 Shopkins Gift Ideas That Your Child Will Love! 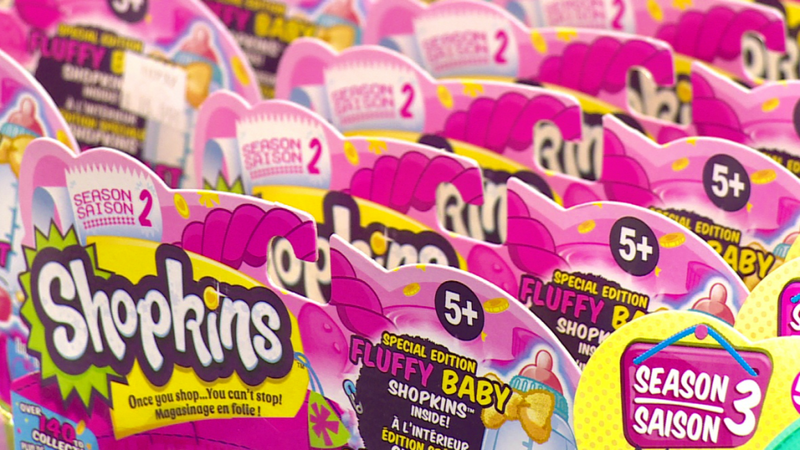 6 Shopkins Gift Ideas They’ll Love! I have a child who is absolutely obsessed with Shopkins. There is always that quest to get those rare Shopkins and since there are so many to collect, the quest never ceases. 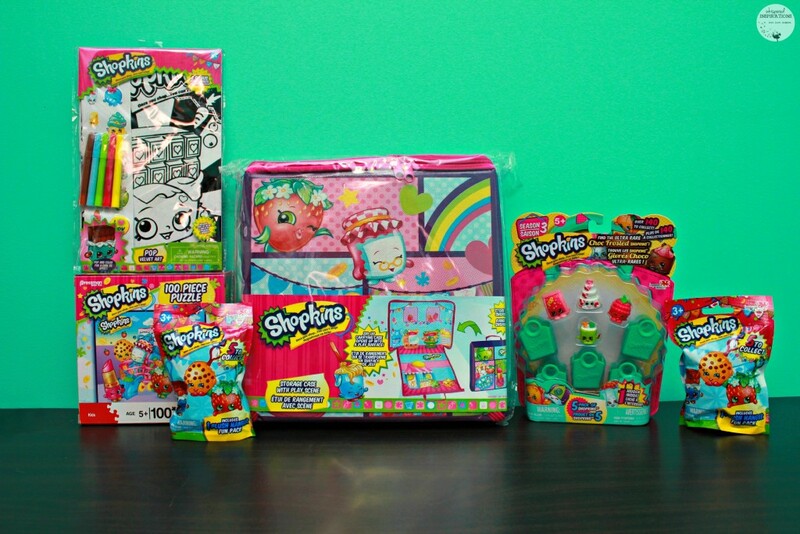 But, there isn’t just Shopkins, in fact, there are so many options for the Shopkins lover and if you are looking for last-minute gift or stocking stuffers–you can find them at Showcase and choose from these Shopkins Gift Ideas. 1. 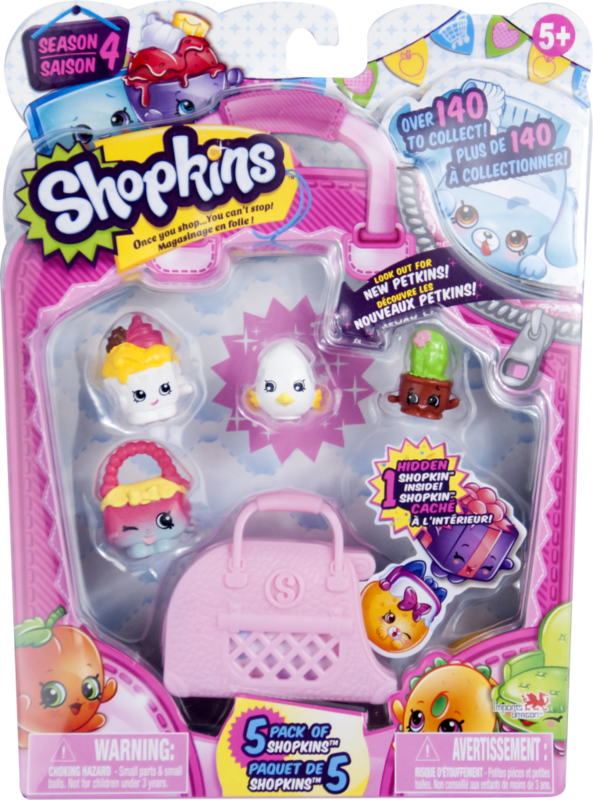 Shopkins Season 4 featuring Petkins! Season 4 is here and it hit Showcase stores across Canada on December 21st, 2015! Now these cuties include a furry companion Petkins! Each Shopkin’s character now has a unique, collectible and tradable pet that comes with a cute carrying case! With the introduction of the Petkins line, Shopville is expanding to include a new Pet Shop department for all of the Petkins’ needs. 2. Shopkins: Season 1, 2 and 3. Naturally the 5-packs are an absolute must-have for collectors. They come with 4 Shopkins and 1 Shopkins in blind box of sorts for your chance at a rare Shopkin. Plus, 5 baskets to hold your new Shopkins in. 3. Shopkins Plush Hanger Figures Mystery Packs! Each character in the Plush Hanger Figures Mystery Packs come with a handy clip. They are perfect to use on backpacks, key chains or anything you can think of. Each bag is randomly packed – you may receive any one of 5 different characters! Possibilities are Kooky Cookie, Apple Blossom, Strawberry Kiss, CheeZee, or Cheeky Chocolate! They will love the surprise! 4. Shopkins Velvet Art Kit with Stickers. Get your colour on with the Shopkins Velvet Art Kit. Colour in your favourite Shopkins with the included 5 felt tip markers, when you’re done – cover the art in stickers for that final creative touch! This is a great activity to do with little one as the felt helps them stay in the lines. 5. 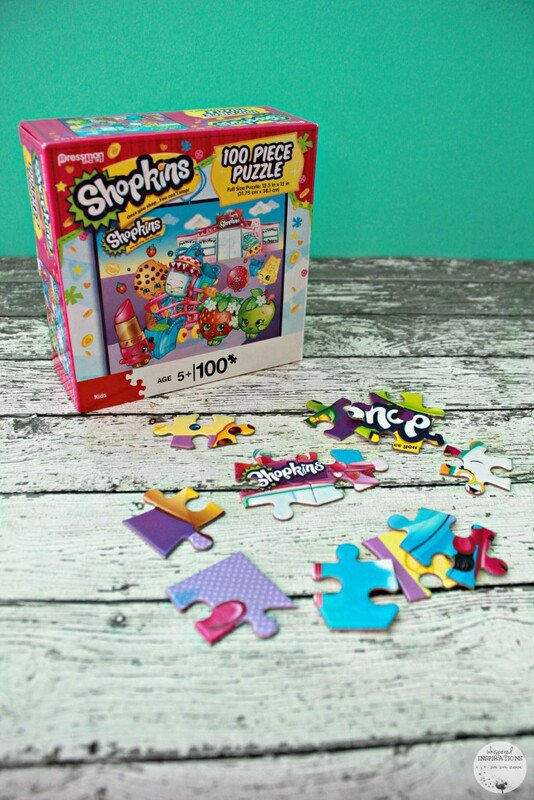 Shopkins 100 piece Puzzle. Your child will love this puzzle, especially with all of their favorite Shopkins. I know Mimi loved this puzzle and though it took her a little while, she did it and she loved the challenge. 6. Shopkins Storage Case With Shopville Play Scene. 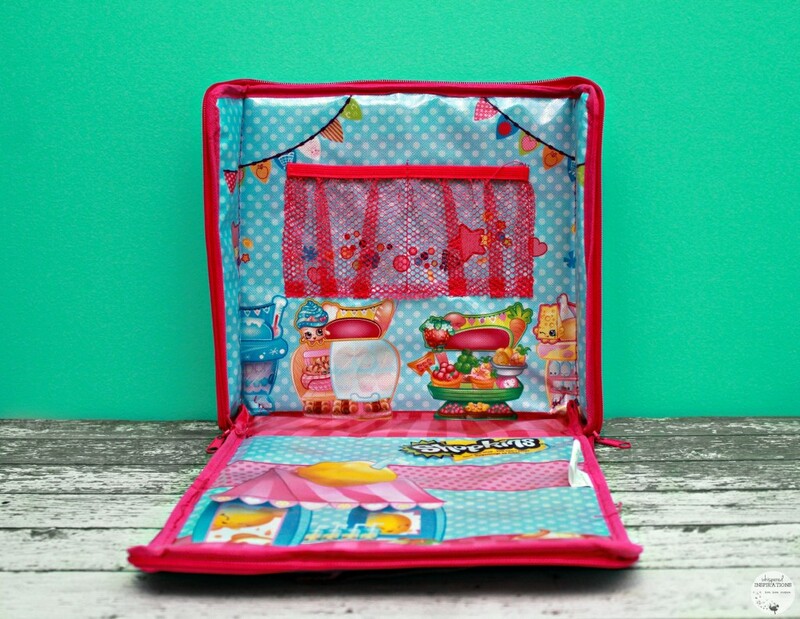 With this case, you can organize your Shopkins collection with this handy bag that unzips into a play scene. It has a wrap-around zipper and opens up into a play scene. With all the Shopkins that your child collects, this will be perfect for them to play. 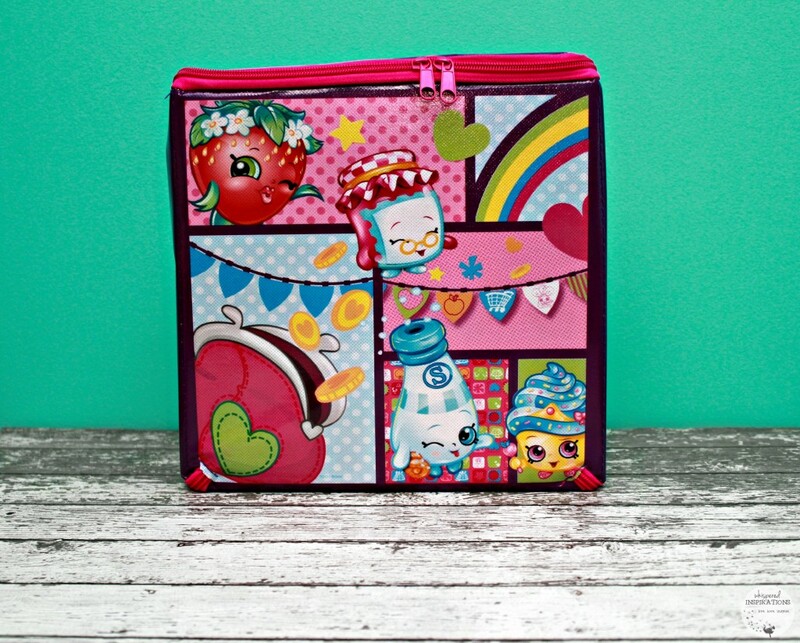 With the Shopkins Storage case, your Shopkins have a permanent home. Now you have some quick and easy Shopkins Gift Ideas in the case you need last-minute gifts! You can order online on Showcase. Want it now? You can head to your nearest Showcase store! See more at My Kid Needs That. For more information, you can head over to Showcase or connect with them on Facebook and Twitter. Which Shopkins toy would your child like the most? Thanks,the grandkids are just getting into the Shopkins so these are great items for me to look for ! I have a feeling they will be around for a while!